Tim has worked in the health and fitness industry for almost 20 years. In that time, Tim has had the privilege of learning from some of the most gifted leaders in the fitness industry. He has co-authored Becoming Bulletproof, and authored Pressing Reset, Fitness Habits Made Easy and The Hope of Movement. 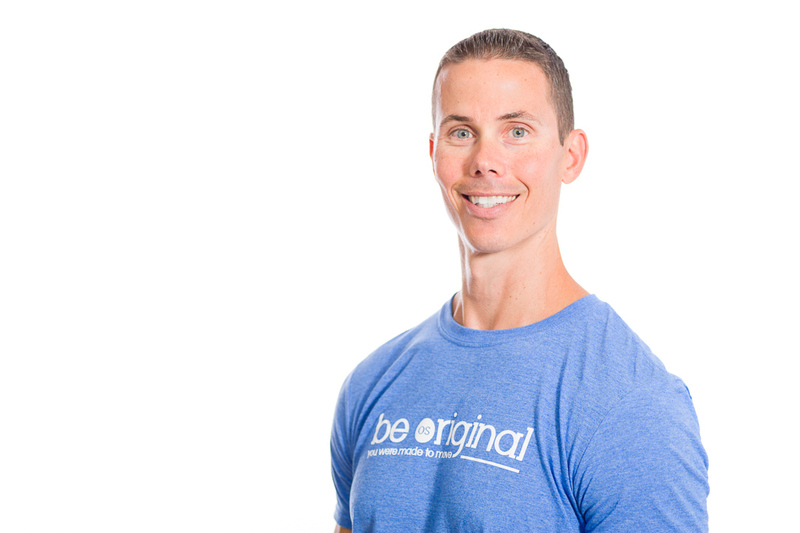 As a movement restoration specialist, Tim has a passion for helping people regain the bodies they were meant to have through remembering how to move. Note From Matt: This interview was recorded on a phone call and then transcribed by me. Some parts may be edited slightly for an easier read. Matt: Can you tell me how you first got involved in health and fitness? What were your reasons for choosing a career in this industry? Tim: I kind of went the long way around to end up in this industry. I guess I first started to become interested in health and fitness during sixth grade when the middle school football coach told me that if I wanted to be on the team I was going to have to hit the weight room. I was a pretty small kid. So, that summer I started working out with the Joe Weider weight set that my Dad had. I just caught the bug and never put the weights down. Unfortunately, when I got to college I didn’t really know what I wanted to do yet. I was at NC State for two years and I eventually ended choosing Statistics as my major. I chose it because I was really good at math and I was also lazy at the time (laughing). I didn’t want to do all-nighters in the computer lab like some of my friends were doing. I graduated from NC State with my degree and got a job as a statistician. The entire time I had that job I was still going to the gym. I ended up working at a small gym on the side and decided to study to become a personal trainer. Right around the time I got my certification, there was a merger at my company and I was laid off. It gave me the opportunity to explore another profession. Matt: In those early days when you started your career as a personal trainer what challenges did you have? Tim: My reasons for becoming a personal trainer, at the time, were for very selfish. I really just wanted to know more for myself and how I could help my own health and fitness. When I started training people I realized that, more often than not, they weren’t as into training as I was (laughing). They just wanted someone to keep them accountable. If they weren’t paying me money they probably wouldn’t show up at the gym. It seemed like many of them just wanted a rep counter. That was frustrating. I quickly realized that I wanted to be able to help them and became more invested in my profession. Matt: What helped you start to move your career forward and become more impactful as a trainer? Tim: Fortunately for me I lucked out and found out about this crazy metal ball with a handle on it called a kettlebell. The only people that were teaching anything about KBs at the time were the RKC. It was so different than traditional weight lifting and I wanted to learn more. I went to one of the RKC certifications and learned that personal training was so much more than what you are taught during your certification education process. The depth of knowledge at the RKC was so interesting to me and it really set me on fire. From there personal training was just an entirely new thing to me. I was able to learn from some really smart people in the industry like the creator of battling ropes John Brookfield and through Dan John and Pavel through RKC. It was refreshing to learn from these individuals. They all had a no-nonsense approach and taught you how to think outside the box. Just how to think, period. It was so different than when went to school or did the certification because you are weren’t just given information and expected to follow the rules. Being exposed to these individuals allowed me to start asking questions and grow as a trainer. Matt: When did you start to focus on movement as an overlooked piece of the puzzle for personal trainers? Tim: I was so excited about kettlebells and became a bit overzealous with the training. I trained far more than I really should have and started to get overuse injuries. I was young and stubborn, so I just wouldn’t stop. It was my identity and I figured it was what I wanted to do even if I was hurt. Eventually, the injuries nagged me so much that I started seeking out ways to get out of pain. I started learning about different approaches like the FMS and Z-Health. I explored corrective exercises and the other side of the coin with training. My own injuries are what led me to eventually find Original Strength. Matt: When did you start to test out these different approaches that eventually led to the foundation of Original Strength? What were the beginning stages like? Tim: Original Strength started because I was so frustrated that I was still hurt. Even with doing all these corrective stretches and exercises I wasn’t getting anywhere. One night I was feeling particularly frustrated and just asked God to teach me how to train to be resilient. A few days later I picked up a child development book that I had lying around the house. I started reading it again and things started jumping off the pages to me. All these thoughts and connections were happening at once. I just knew then how powerful crawling could be and how the movements of a child were the key. So I started to test these theories out on myself and my friends. My Original Strength partner Geoff Neupert was huge in this. Geoff’s wife was also a doctor in physical therapy and extremely helpful in the beginning stages as well. We started playing with these new movements and looking at how it affected our movement in general. That’s when we learned how powerful it really all was. Matt: For the fitness professionals who haven’t come across Original Strength before please give us a bit of an overview and tell us why it would be a good addition for trainers to apply to their own training styles. Tim: The overall idea behind Original Strength is that our bodies are not made to be fragile. Even if we’re 99 years old we should still be strong and be able to enjoy life the way we were meant to. With Original Strength we simply go back to the original movements that every person was born with. We all have a nervous system and original operating system. Inside of that operating system we were pre-programmed with certain movements that we grow and develop with. Breathing, controlling your head movements, rocking around on the floor, and ultimately the movement that gets us strong enough to get up and walk which is crawling. Well, those same movements are still pre-programmed into us now. No matter how old we are we still have the same operating system and if we tap back into those movements there is a reset button in our nervous system. It starts to restore connections, reflexes, and gives us a solid foundation (even at 30 or 40) just like it did at nine months old. So, we still have all these movements and they still work. They still help us become strong and nourish our nervous system. If our nervous system has everything it needs, all the reflexes and connections, then the sky is the limit for your movements. You won’t have any gaps. From a training perspective, if you can help someone establish a solid foundation of movement than all the other movements they want to do in life become easier. Matt: How has the Original Strength company grown since the early days and what does the company offer now to help other fitness professionals? Tim: Geoff and I started out with a four-hour workshop because we were curious to see if anyone was interested in these movements and how they could help. We did the first workshop in Alexandria Virginia and it eventually led to the full-day workshop that we do now. We do the Original Strength Pressing Reset workshop where we take everyone through the five movements and show them how they affect their body. From there we also have another PRO Reset workshop where we go into the neurology into why this all works and why these simple movements have such a huge effect on the body. Then we look at the structure of different people’s bodies and the pathology. We look at how these simple movements can lend themselves to all bodies. So Pressing Reset is really about learning the movements and Pro Reset is about the science. Matt: In addition to growing the Original Strength brand you’ve also opened a gym in North Carolina. Can you tell me a bit about your gym, the environment you’ve created, and what the target clientele is? Tim: At the Original Strength Institute (our gym) we follow the Original Strength foundations. We believe that everyone who comes into our studio, regardless of whether they want to lose weight or get stronger, really wants to enjoy the rest of their life and be strong into their later years. So that’s our underlying theme for everyone that comes in the door. We take each person that comes to us and teach them how to press reset. The thinking behind that is that if we teach them this and they never come back but they keep doing it they will move better and feel better for the rest of their lives. However, we try to make them want to stay (laughing). If they want to stay after we’ve laid the foundation then we will strengthen their bodies through the natural human movements we all have. So we don’t do any traditional personal training or weight lifting in that sense. I call what we do manual labor camp. We simply teach people how to move their bodies and add strength to them. The environment is really fun. We play music and my partner Dani Almeyda and I tell stupid jokes. We want to create a family environment where people want to be there. It’s really taken off and we have a lot of people that keep on showing up. It’s been an amazing project for us. Matt: From a business standpoint what’s the onboarding flow for your members? Does everyone start in a private, semi-private, or group setting? Tim: Ideally we try to bring clients in for private sessions to start with so we can do an Original Strength screening assessment on them to see how they are moving. Like I said, we want to make sure even if they never come back they have the tools to move well the rest of their life. This gives us the opportunity to really learn about them, what their passions are, what their history is, and what their goals are. We then invite them to our semi-private group training sessions. Once they get to semi-private training they start out by pressing reset again. Our motto for people is to start where they are. No matter what their physical condition is they can start. We don’t want them to move with pain, just to move in whatever way their body lets them move. As they become more capable eventually they can do more. We try to let them know that there isn’t a trophy for doing too much. Life is a journey and they don’t have to be Superman the first day in the studio. We really try to just give our clients a big warm fuzzy hug and let them know we care about each of them. If we can get them plugged into a semi-private class we try to show them how capable they are. We want to celebrate the small victories along the way and those small victories end up becoming larger and larger down the line. Matt: What are you plans for the gym moving forward? What are you working on and what are you excited about coming up? Tim: Well with our studio we love what we do so much that we have entertained the idea of doing it twice as much (laughing). So we are looking for a second location to do it which is very exciting. The Original Strength team is also excited about our Pro Reset course coming up this week. We’ve been blessed with really wonderful instructors. Dr. Dan Barrows, who is a wonderful physical therapist , and Dr. Mike Musselman, a brilliant chiropractor, come in and present the Pro Reset courses with us. I love seeing those guys. In addition to that, we are actually starting to work on a Pro Reset Performance workshop coming up next year where Chip Morton, strength coach from the Cincinnati Bengals, and Mark Shropshire from Baltimore are helping me build the course content so I’m looking forward to that. Matt: Awesome. To add to that, what are you excited about that’s happening in the fitness industry right now and where do you think the industry is headed over the next few years? Tim: You know, in the last ten years the fitness industry has changed so much. I think it’s getting better and better. Thinkers, like Dan John and John Brookfield, are emerging. It just seems like more real world training approaches are coming out. The fitness industry is becoming less gimmicky. I love the content that is continually being created and the volume of that content that is focused on natural human movement. This is especially important for us, as trainers, as our clients get older and older and I’m excited to see trainers across the industry become more effective at what we do.